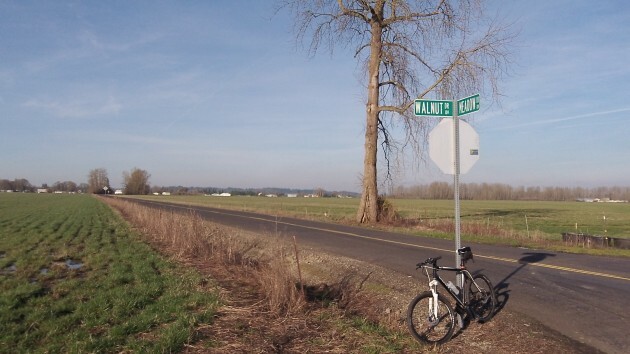 Oregon’s mid-Willamette Valley has some very fine roads that fairly invite cycling: Well paved, adequate shoulders on the main routes, relatively little traffic, courteous drivers, and depending where you go, not many hills. What more can anyone ask? You don’t have to worry about too much traffic at this corner in Linn County.